The agency ‘Eau Seine Normandie’ is a public organisation part of the Ministry for the Environment. Its policy is to preserve water resources and maintain a good condition of river waters, aquatic environments, groundwater as well as coastal waters. The agency finances projects such as those aiming to protect water resources or fight against water pollution. Specializing in the protection, optimization and SUEZ Environment essential resources production provides industrial services for public and private sectors. The French centre for analysis and ocean forecasting is carried out by 5 major organisations of operational oceanography: the CNRS, the IFREMER, the IRD, Météo France and the SHOM. It develops and operates operational systems for ocean forecasting capable of describing, analysing and forecasting the ocean in 3D, providing continuous and live coverage whether on a regional or global scale. Mercator Ocean has headed the ‘My Ocean’ European framework Copernicus project since 2009. ‘My Ocean’ includes some sixty public and private partners in Europe and almost 350 experts. It offers a catalogue of oceanographic products on an Internet portal. The project is preparing for the launch of the European maritime surveillance service from 2014. Since its creation in 1961, the CNES,the French spatial agency is the public organisation in charge of offering and conducting French spatial policy within Europe. Spatial techniques are increasingly used to observe the ocean and to study the water cycle (satellites from the JASON family and soon the hydraulic satellite SWOT…) By joining the “7th Continent” expedition, the CNES seeks to raise awareness in youngsters about the problem of plastic pollution in the ocean thanks to the ARGONAUTICA project. The Cluster Maritime Français CMF has nearly 340 maritime professional partners (groups, companies, SME, professional federations…) and never ceases to strive for a dynamic maritime position for France. The CMF is committed to supporting the 7th Continent expedition for the second year running. Air Caraïbes has been the 7th Continent Expedition’s privileged partner since the outset. It proudly supports this major scientific initiative, which is both a triumph in terms of environmental studies and also more especially, an increase in public awareness about the extent of the plastic pollution phenomenon. Due to its Caribbean and Guyanese roots as well as its important economic role in these regions, Air Caraïbes has always been determined to be involved in human and environmental causes. As a frontline actor in the development of tourism in the French Caribbean and as the first private company to join the NFB in the Martinique, it makes its commitment to a more environmentally friendly tourism tangible. Within this framework, company volunteers and employees have carried out three clean-up operations. RevolutionR, which specializes in media relations and the organisation of exceptional events, is involved in the creation, development and media coverage of major outdoor sports events such as ski & snowboard free ride, mountain biking, surfing & kite surfing, beach rugby … The natural environment is part and parcel of these sports so the company is obviously committed to the respect of the environment. RevolutionR has joined the 7th Continent Expedition to alter public opinion and help them raise awareness of the damage caused by human activity. The state of the planet continues to decline rapidly and pollution caused by plastic is an alarming and visible phenomenon. It’s time to act. Patrick Deixonne, a modern explorer, joins together with RevolutioR to show desire and determination to protect the planet earth, of which so little is known. Beyond its 100% recycled products, which they design, manufacture and market, the Amaboomi project is reknown for its foundation, the Amaboomi foundation, which is financed by a percentage of the sales. Its mission is to create, organize, finance, and support initiatives for the preservation of the environment, especially those closely related to recycling or ecology in general. As part of this approach and this willingness to act for the well being of our planet, Amaboomi proudly embarks on this great adventure as it shares 100% of the values with The 7th Continent Expedition. They are indeed convinced that it’s when we act together that we can aspire to a better world. Equalogy helps companies and organizations to address major environmental challenges through collective ownership of these issues. Relying on science and facilitating their understanding to create a synergy with the economic projects, Shipping 7th Continent perfectly illustrates the steps of seeking solutions to these challenges that seeks to promote Equalogy. At the crossroads of improving knowledge and awareness of the greatest number to the pollution of the ocean plastics, with joint involvement of scientists and socio-economic actors for the production of collective intelligence. In over 15 years of history, Degetel has continued to support its customers in their digital transformation. We make them benefit from our innovation bias, the result of our R & D and our multi-sector experience. We look forward to their advantage the changes in technology, practices and trends. We accompany Expedition 7th Continent in their innovative and participatory digital approach. The waterways have shaped the territories of our country over the centuries. They are a precious heritage of their contribution to economic development and their role in the preservation of natural areas. The waterway promotes the movement of goods and people in a network environment-friendly. Waterways of France comes every day to preserve this heritage and ensure its development in the service of the competitiveness of transport and logistics. The institution protects and maintains roads and sometimes unique works in the world that are components of tourist attractiveness of our regions. It acts as a responsible institution to guarantee the best service to its users and partners. 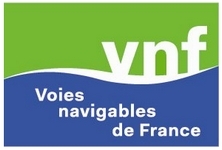 The action of VNF is also part of a European dimension, the French river network is naturally connected to those of our neighbors. Institut Océanographique de Monaco seeks to raise awareness of the richness and fragility of the oceans and to promote sustainable management and rational and effective protection of the latter. 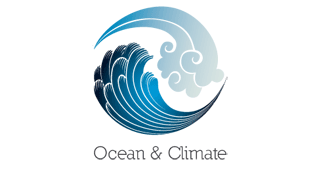 The Ocean and Climate Platform was born out of an alliance of non-governmental organizations and research institutes, with the support of the Intergovernmental Oceanographic Commission of UNESCO, June 10, 2014 on the occasion of World Oceans Day . It now includes scientific organizations, universities, research institutions, non-profit associations, foundations, science centers, public institutions and business organizations, all involved for taking better Account of the ocean in climate negotiations. Surfrider Foundation Europe is a non-profit organization (Law 1901), having “dedicated to defending, saving, development and sustainable management of the ocean, coastline, waves and the people who enjoy “. At its inception, the coastal area of ​​leisure was chosen as a reference area, but today our action encompasses more water recreation areas of lakes and rivers. Deléage company was established in 1989 by Virginia Neuville. Since then, the company knows a constant development. Today, thanks to the latest innovations in textile sublimation materials, cutting and printing technologies, DEVI offers the best solutions to make your decorations and events. In addition to consulting, on-site identification of projects and graphic simulation, printing on latest generation machines, the variety of finishes and proposed the establishment of Deléage on site is the reference company it is today. Green Cross International, or Green Cross International is an international non-governmental organization environmental goal. It’s mission is to contribute to the increase in living standards and economic and social development in all countries, developed and developing whenever possible. It puts this in place for various environmental projects, the peace process or development aid. 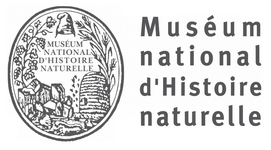 The French Explorers Society contributes to the knowledge of poorly known regions of Earth. It welcomes those who undertake original research in very difficult areas, approaching the forgotten tribes conquered inviolate peaks, attempting extreme routes or sail along quiet rivers, or who find the underground world and the hidden face of our planet. Not to mention those involved in the exploration of the solar system. All these men and women nurture the exchange between exploration and research. 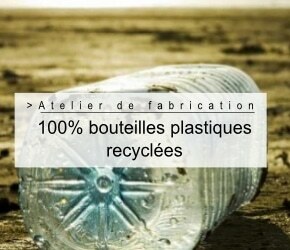 Algopack, French company World leader in blue chemistry replaced by plastic brown algae. The material of Algopack mark consists only of brown algae, it contains no chemical derivative. In order to respect biodiversity algae are cultivated. The cultivation requires neither fertilizer nor pesticides and consumes little water. The manufacture of the granule is energy efficient and emits no waste. This pellet is inserted into the existing plastics processes to form products. Firmly committed to safeguarding the oceans, Algopack has developed a process to value the Sargasso waste into a biomaterial 100% algae. It is for this reason qu’Algopack has partnered with the 7th Continent Expeditions. Environnement Solution co-construit la société de demain avec le monde de la recherche dans les domaines socio-économiques et culturels. Environnement Solution démultiplie les actions positives et de collaboration multi-acteurs. Environnement Solution participe au développement stratégique, politique et opérationnel d’acteurs socio-économiques engagés dans une nouvelle vision homme environnement. The One Percent for the Planet Club: business with benefits for the Earth. The LÉA NATURE Group’s certified organic brands are members of 1% for the Planet and are committed to donating 1% of their net turnover to environmental organisations.